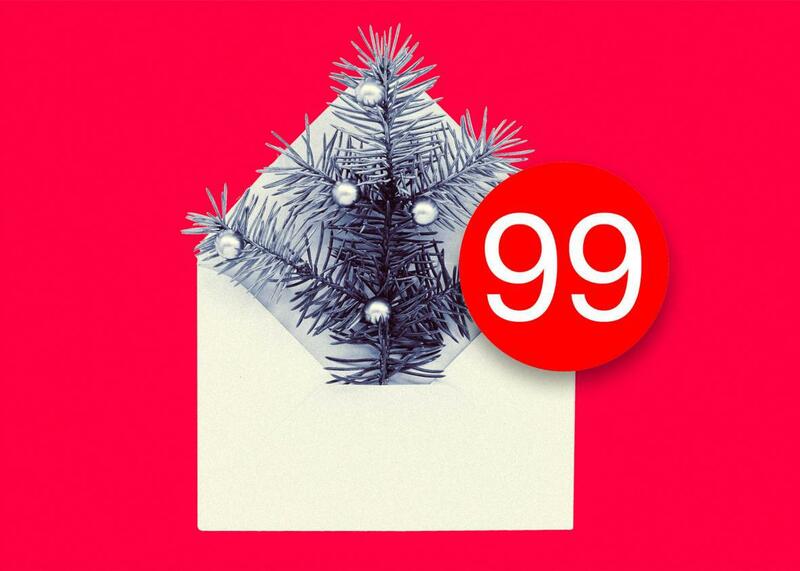 Three steps to keeping work email out of your holiday. The holiday season is upon us and it will soon be time to turn on your out-of-office responder. Or, will you? Will you be one of the many Americans who checks their email while they’re on vacation, or will you be one of the few who turns on that auto-responder and doesn’t look at your inbox again until your first day back? Will you spend most of your time stressing out about email, losing your rare holiday to the never-ending “ding” of your device? A few years back, my wife and I spent winter break in a quaint Spanish colonial town in Colombia. We’d looked forward to the holidays, to catch up with one another, disconnect, and try to regain some of the work-life balance we craved in Manhattan. Then came the email: There was an urgent request for information from “higher ups,” and she needed to walk someone on her team through the details of how to find it. She considered ignoring the request but worried it might hurt the image she’d been trying to project of always-available employee. Instead of enjoying one of the afternoons of our vacation with a bite and stroll through town, I spent hours hanging out in the main square watching my spouse wave her phone around desperately trying to find a signal so that the email with the detailed instructions could go out. I first started thinking about solutions to these holiday-ruining email nightmares 10 years ago when my work took me to San Lucas Tolimán, Guatemala. I lived in a lakeside town in the Highlands, working with students and faculty teaching a group of indigenous artisans skills they may need to become independent social entrepreneurs. During this month, I was online and on email sporadically. If it rained, the networks would, for the most, part collapse, and when June happens to be hurricane season, well, you end up with a majority of your time involuntarily offline. I couldn’t believe how amazing it felt to be able to truly focus on the project I had there. Though I did feel what may be best described as email withdrawal (with FOMO and all), it was a truly wonderful experience to know I could “survive” without that 24/7 connectivity. When I got back to the U.S., I resisted being sucked back into the churn, and became actively interested in email charters, technology diets, and ultimately reflective on how I could encourage healthier email practices in my own community of colleagues at Parsons School of Design. Step 1: Gain a really good understanding of your email habits—what they are now and what you would like them to be. Keep a log of how often and for how much time you check email every day. Do you allow yourself to have downtime, for example, when in line at the supermarket or subway platform, or are you always reaching for your phone to respond to the vibration notification (which I always suggest turning off) in case there’s a new message in your inbox? How will this look during the holidays? Do you want to give yourself half an hour each day to focus on email or not look at it at all until Jan. 2? What would your ideal email diet be, and how does it match up with your current reality? Once you’ve decided what you’d like to change, explore your options. Are you able to try out technology diets that may include checking email once a day? Or, do you perhaps need apps like Self Control and time management methods like the Pomodoro Technique to regain focus and minimize distraction? Step 2: Send email as you would want to receive it. Are you tired of getting email you don’t actually need at all hours of the night or morning or when you’re on vacation and trying to enjoy family time? Then try to put yourself in the shoes of the people receiving your messages. This is especially important if you’re a supervisor—do you need to email after hours and when out of the office, or could you instead install email scheduling tools like Boomerang or MailButler? Can this idea wait until after the holidays? If so, make a note to yourself and send it then. Your bad email habits aren’t just yours, but they could set the tone for email culture for your whole team at work. And, most importantly, ponder whether email is the best way to communicate what you have in front of you. Instead, should you request a brief conference call with your team, or check on your work’s instant messaging platform to see if a colleague is available for a quick message during normal work hours? If you wouldn’t want to get that email in your inbox, keep it out of others’ too. Step 3: Take your ideas to your whole workplace, and try to start some new habits before the holidays. No person is an island, and no true email solution will come from just one vigilant boundary-setter alone. Set expectations about holiday email with your co-workers and other frequent email exchangers now. Consider sharing this article with your colleagues to discuss over lunch. What are some small steps that you all agree could be taken now to make sure everyone has a happy holiday with minimal work stress? And after the holidays? Start co-authoring a workplace email charter that can set the expectations for everyone from the start. The success of healthier email habits is highly dependent on those closest to your daily work being on the same page. This holiday season, consider giving yourself, and your co-workers, the gift of email-free holidays. And come the new year, make a resolution to bring that holiday mindset to email year-round.